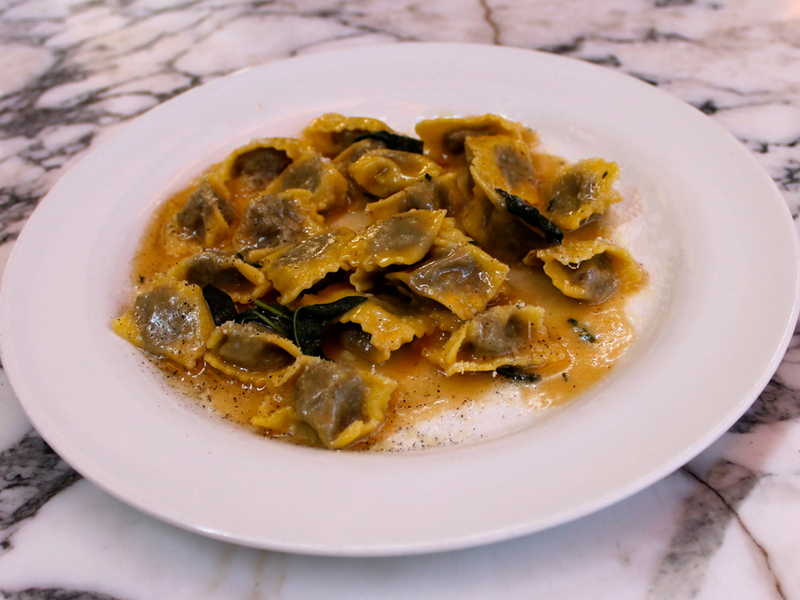 Agnolotti with black truffles is on Cecconi's New Year's Eve menu. Church & State, 1850 Industrial St., Los Angeles, 213-405-1434. Reservations can be made by phone or online. The Tasting Kitchen, 1633 Abbot Kinney Blvd, Venice, 310-392-6644. Call for reservations. Providence, 5955 Melrose Ave., Los Angeles, 323-460-4170. Call for reservations. The Church Key, 8730 Sunset Blvd., West Hollywood, 424-249-3700. Call for reservations. Cecconi’s West Hollywood, 8764 Melrose Avenue, West Hollywood, 310-432-2000. Call for reservations. M.A.K.E, 395 Santa Monica Place, Santa Monica, 310-394-7046. Call for reservations. Canelé, 3219 Glendale Blvd., Los Angeles, 323-666-7133. Call for reservations.